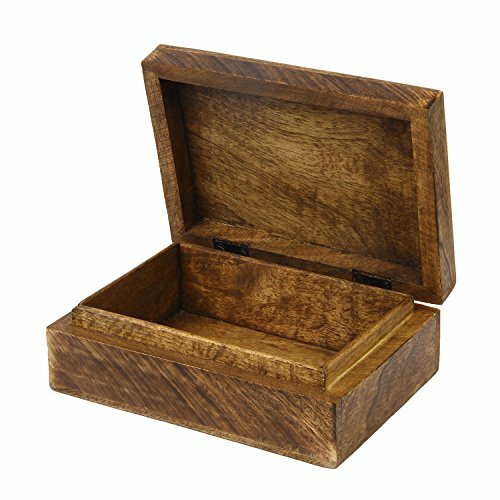 Beautiful, rustic and finely crafted, this amazing and astonishing item of jewelry display offers a lovely manner of storing and exhibiting all sorts of pieces of jewelry! 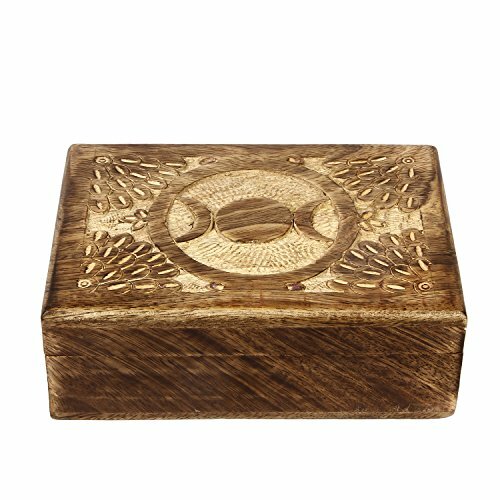 The product was created out of premium and sturdy mango wood and it has been carved entirely by hand, which makes it even more original! 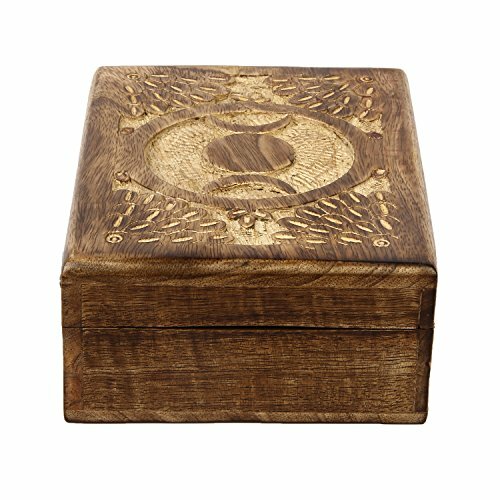 The box comes in more designs, you can get a lovely heart themed version, an abstract version or other geometrically designed versions too! It’s got a rich and beautiful natural brown color for a more authentic look. The interior features the same elegant design and it is roomy as well, so it will readily accommodate plenty of your belongings without a problem. 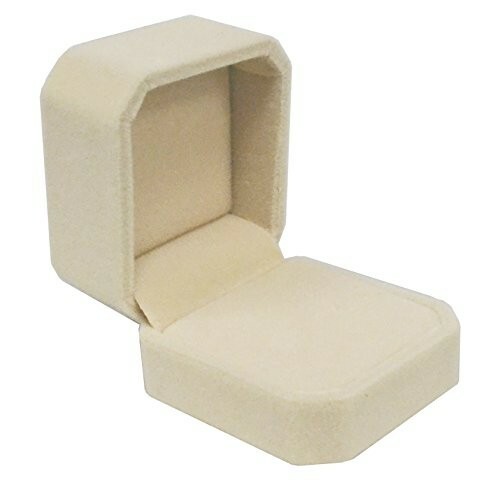 The box can display jewelry like rings, earrings, brooches, bracelets, necklaces and pendants and so on and so forth. It is perfectly suitable for a safe storage of your belongings thanks to its sturdy build so it will better protect them at all times too! The box can also be easily taken with you anywhere you go, thanks to its portable design. It’s ideal for being used in both your own home and in any retail shop and you will definitely find it to your liking. It is chic, one of a kind and it will undoubtedly offer a most satisfying job presenting your precious jewelry sets! 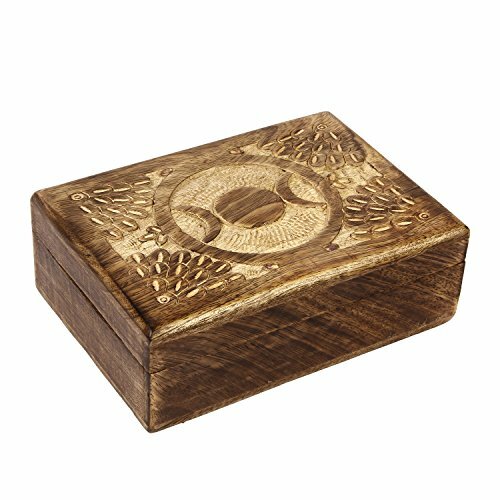 The overall dimensions of this wooden jewelry box are the following: length – 7 inch, width – 5 inch, height – 2.5 inch and its weight is 1.1 pounds.